If I am going to get one of these Volvos then I hope its the proper Western National W-PAF batch as at least these have the comfortable seats. 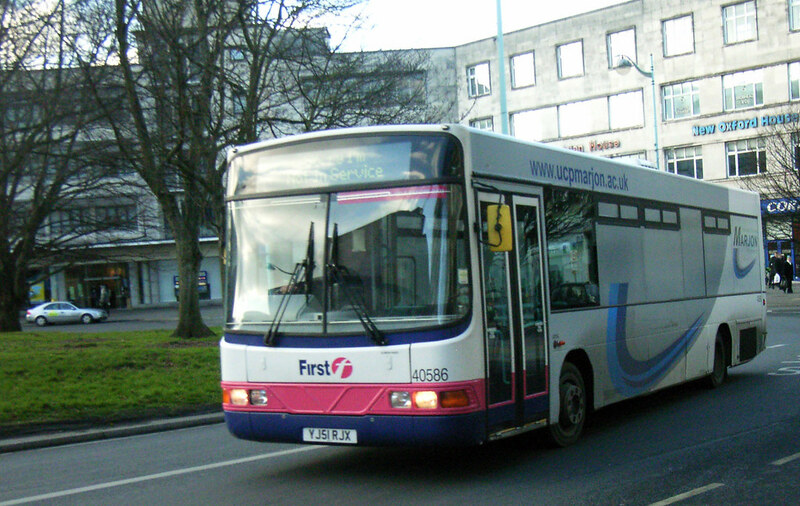 40586 has the same rock hard seats as other First buses of this age. Poor leg room, hard seats, noisy and slow. Not exactly a treat. 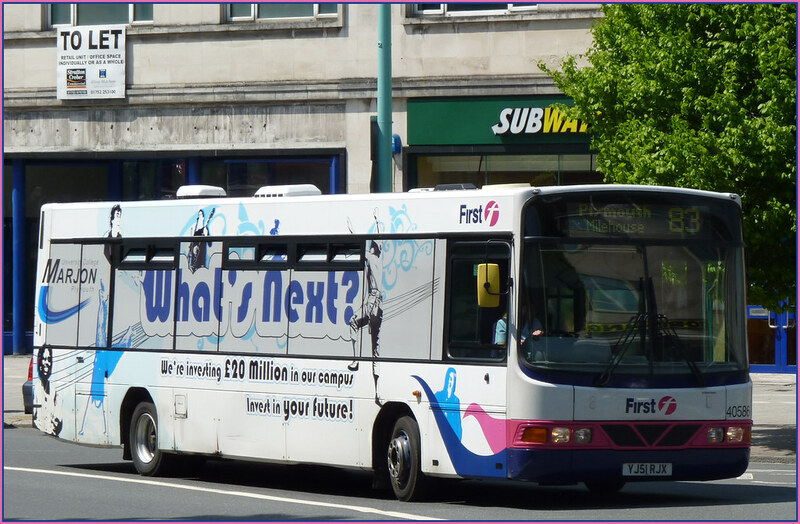 However this particular bus is by far the worst of the type in Plymouth due to its horrible advertising wrap. Even on a bright sunny morning like we have had the last few days. the inside of this bus is dull. Its not easy to see out and just gets in the way. Its hard to imagine why anyone would want to pay for an advertising wrap that says absolutely nothing! I don't have a problem with all over advert liveries on bus. In fact they can brighten up the place when done right. Its just that when you cant see out of the windows they get incredibly annoying. I then find myself resenting the company which has paid to make my journey less enjoyable. With Marjon not only have they managed to annoy me by depriving me of my view they have also added an extra ten minutes to my bus journey to work in the morning. Sitting for a few minutes outside Marjons this morning trying to peer out of the murky windows towards the college which at that moment in my life was really annoying me - what a great start to the day! At least one of the students who caught the bus from that stop was quite hot so took my mind of my misery for a few moments. Anyway, rant over - I feel so much better now! In fairness this vehicle is still a native 'Western National' lol! Plus I like how the pink and blue from the bumper has been incorporated into the side of the advert!